To be able to better satisfy the requirements of your customers, there is a demand for increasingly customised solutions. Axor offers plenty of scope for creativity by offering tailor-made products and solutions from the Axor manufacturing department. 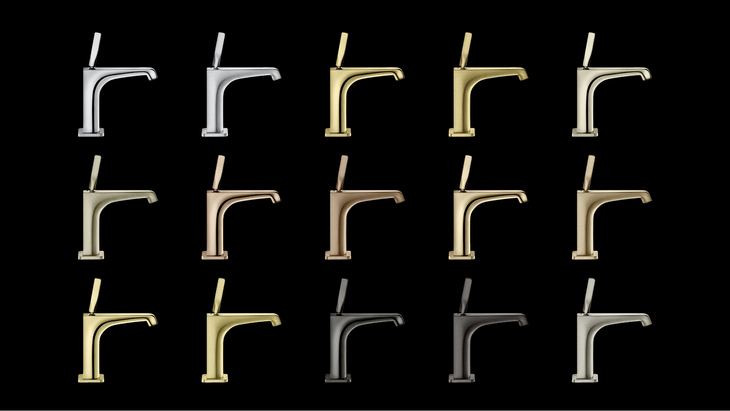 15 exclusive special finishes in brushed or polished metallic shades add a distinctive touch to the bathroom. If a product does not fit in the space available, its length can be adapted to suit your customer's requirements. Special inscriptions, individually laser cut or printed, make products easier to operate – particularly useful in the project business. Going beyond the standard service, Axor can implement your customers' personal requirements even if this involves only one item. Similarly, the Axor manufacturing department offers you tailor-made special solutions for implementing larger-scale projects. Simply get in touch with your personal contact at Hansgrohe. He will be happy to advise you about other options offered by the Axor manufacturing department. Be inspired by checking out our international reference projects too! Customise products by adding a refined surface finish to fulfil unusual customer requirements. The special finishes, manufactured using the PVD method, are significantly more robust than conventional chrome and exceptionally brilliant – making them ideal for use in the project business. Inscriptions and symbols help make life easier in the bathroom. For example, clear inscriptions on valves or diverters make it easier for first-time users to operate the showers in hotel bathrooms. On request, products can also be provided with larger symbols or instructions in the language of your choice or personalised with logos or initials. 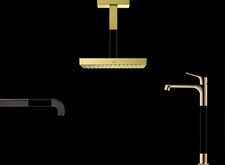 Shortening or extending products makes it possible to design a truly unique bathroom. 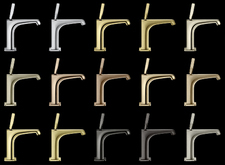 Modifying the length can create customised products, for example a floor-standing basin mixer. If a product does not fit into the bathroom properly, it can be tailored to fit the space available.